We look at how video is changing the face of the customer service industry. Through programs such as Skype and FaceTime, customers have enjoyed the benefits of using video chat in their personal lives. Naturally, it was only a matter of time before they expected the same from their customer service experiences. While only a handful of pioneers have delivered on this expectation, their success has marked the dawning of a new era for customer service. How is video being used to improve customer service? Anyone scrolling through reviews for the new Kindle Fire HDX will see that their Mayday service has taken customer service to eleven. 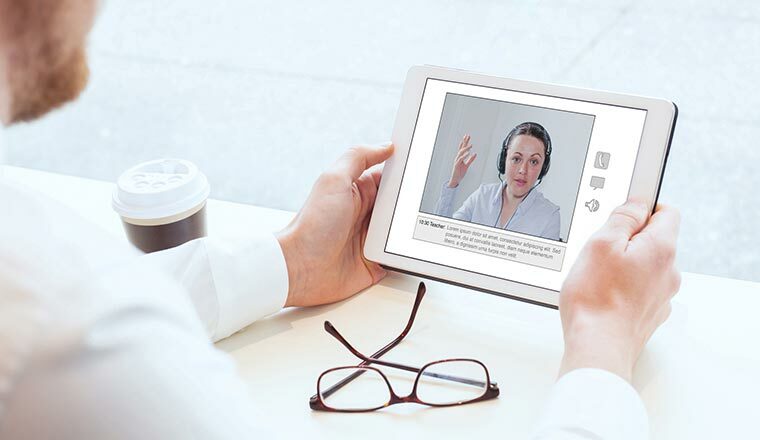 Whether you are having a problem or just have a question, the Mayday button puts you through to video chat with an advisor in seconds. From there, the advisor is able to take control of your tablet and visually guide you through resolving any issues you may have. The instantaneous nature of Mayday takes the effort out of the customer experience and nips the problem in the bud before anyone has a chance to get frustrated. Watch the Kindle Fire HDX’s Mayday feature in action. Another pioneer of video-chat customer service is footwear retailer Schuh. Similar to Mayday, their Live Help service provides almost-instant access to an advisor without you having to leave the website or pick up a phone. The Live Help button appears on the right-hand side of the website and follows you from page to page as you browse their collection of shoes. If you need assistance, you simply click the Live Help button. Once you have connected to an advisor, they can share their screen display with you and highlight the information you need in order to solve your query. In addition to this, they can imitate the role of a shop assistant by navigating the website on your behalf and showing you alternative purchases should your first choice not be in stock. Video chat is also being used to streamline the services offered by the council, without compromising on the quality of help provided. An example of this is Durham Talk, which offers a face-to-face support service via video link. Members of the general public can talk to an advisor via video link by visiting a walk-in centre with a fully equipped access point. These are private rooms equipped with computers, webcams and headsets which are connected to the council’s contact centre. Once the individual has connected to an advisor, conversation commences in the same way as it would have had the advisor been sitting in the room; the advisor can answer general enquiries and help with filling out forms. 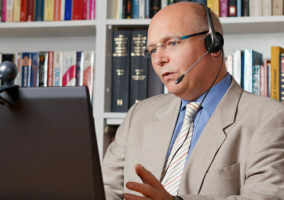 This video-link service allows the council’s advisors to work from a centralised contact centre, and is incredibly efficient, as the minute one conversation is finished, the advisor can dial straight into the next, as opposed to waiting around for the next drop-in or having to drive to the next town for another appointment. This is a straightforward and ready-to-go video-chat facility which allows people to connect with self-nominated experts and receive help with anything from weight loss to computer maintenance. All you need to get started is a Google Helpouts plugin on yours and your end user’s computers, and to add your chosen support function to the directory. You would also require a PC, a webcam and some colourful t-shirts printed with your company logo (as your agents will be visible to your customers). Have a go yourself at the Google Helpouts website. Another way that video is being used to improve customer service is through the production of self-help videos. These are usually embedded on the company’s website in the FAQ section as a means of allowing customers to help themselves. The customer can work through the problem in their own time with a series of visual prompts, rather than having to decipher over-the-phone instructions, making it a much less stressful experience. The majority of customers – if the video is done well – will be able to resolve their own problems. This should decrease the number of calls coming into your contact centre, and save your company time and money. If you do add self-help videos to your website, it is recommended that you schedule regular checks into your calendar to ensure that only the most up-to-date information is given out to your customers. It is considered best practice to check any form of FAQ response at least every 4 weeks. How are self-help videos being used to improve customer service? British Gas has developed a series of “how-to” videos as a resource for its customers. Found on the British Gas YouTube channel, the videos cover everything from understanding your energy bill to bleeding your radiator and checking your water pressure. We first made reference to these “how-to” videos in our article Call Centre Helper visits… the British Gas Contact Centre. These step-by-step guides give customers the information they need in order to resolve their problems quickly and easily, and have been viewed thousands of times since they emerged in 2011. Click here to watch a British Gas “how-to” video. Digital printing company printed.com has a series of videos embedded on its website to demonstrate the more technical aspects of the ordering process, such as adding a ‘bleed’ to a document or exporting a file to a PDF. Click here to watch a printed.com video tutorial. Are you using video in your contact centre? What have been your experiences? 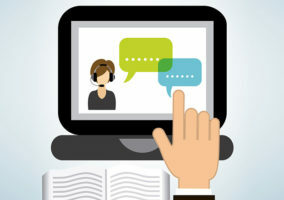 How Do I… Make Video Chat the Channel of Choice? Video Conferencing is the growing buzzword in industry today. Video conferencing tools like R-HUB HD video conferencing servers, WebEx, GoMeetNow, gotomeeting etc. helps people to collaborate with each other, share ideas, etc.